Our lovely, dog friendly, Corner Cottage is a deceptive place. It offers the cosiness of a cottage but comfortably sleeps up to 7 in the 4 bedrooms (though 6 works best). On the border of Lessingham and Happisburgh, it is on the junction of two very quiet lanes. Hardly any traffic goes past and on the short walk to The Star pub you may not see a single car. Furthermore, with some quiet country walks and footpaths in the surrounding countryside, it’s a great place to walk from. It’s possible to walk to the beach from here too – just over a mile of easy lanes and tracks. You know you are near the sea as you can see Happisburgh lighthouse from the house and the views across the fields are wonderful. Parking for 3 cars is off road at the back of the house, at the end of the garden and beside the rather smart shed which may in time become a games room. Access to the house is through the garden via the patio doors and into the …. Conservatory: Plenty of room here for boots and coats and wet dogs if needed and a lovely hall seat containing dog towels. From here you go straight into the…. Kitchen: Beautifully fitted galley kitchen with Belling range cooker, integrated dishwasher and fridge but the owners have added a lovely big freestanding fridge/freezer too. Washing machine, granite work surfaces and plenty of cupboard space. Lovely views across the fields and garden. Then into the …. Dining room: This is between the kitchen and the lounge and has a wooden extending table seating up to 8 and wooden flooring and off this is the…. Living room: Beautiful room with a stunning inglenook fireplace with wood burning stove and hop garland draped across the mantelpiece. Leather sofas and chairs with plenty of room for everybody. Wooden flooring throughout. Tv with Sky and dvd player and views into the cottage style front garden and across the fields. The front door opens into this room – a cottage style door and porch very much in keeping with the cottage garden style of the front garden. There is a book case full of books and room for boots and shoes. This is the best way to get out to walk the short distance to the local, very dog friendly pub – The Lessingham Star! Just off this is the…. Bathroom: Small but very well fitted bathroom with shower and sink, toilet and velux window and frosted window letting in lots of light. Up the carpeted stairs leading from the lounge. Largest bedroom: King size wooden framed bed with plenty of built in storage space and chest of drawers. You can enjoy the views across open farmland. King size bedroom: King size wooden framed bed with chest of drawers and wall hanging space. Second king size bedroom: Double wooden framed bed and hanging and drawer space in wardrobe/drawer unit. Singe bedroom: Single wooden framed bed and hanging and drawer space in wardrobe/drawer unit. Shower room: Very well fitted with shower cubicle, sink and toilet. Outside: The back garden is lawn and paving, also with nicely planted beds and fully enclosed with a gate to the side into the lane. Another gate at the end leads to the parking. Fencing and road gate are solid and the fence height is approx. 6ft most of the way round. It’s a solid fence topped off by robust wooden mesh to allow the great view across the fields but keep jumpers in! There is also an outside tap – with HOT and cold water – ideal for washing off dogs. Because we know you don’t want a sandy or muddy dog in the house! At the front of the house, there is a delightful small cottage style garden enclosed by a wall and with a gate onto the lane. Corner Cottage is a non smoking property. Please do bear in mind the neighbours and please do not leave your dogs alone in the property if they are likely to stress or bark. Not fair on them or the neighbours. Bookings at this cottage are Friday – Friday and short breaks are available out of season. you arrive we will be happy to put it away for you. Just let us know what time to expect it. All full Winter weeks (Nov – Jan inclusive) now 10% off! “Thank you so much for allowing us to be your first guests in Corner Cottage. My first impression was “WOW!”. The cottage is amazing, you have thought of everything (even supplied fantastic weather!). The decoration is lovely, beds so comfortable. It was so nice to be able to bring the dogs so they could have a holiday with us and experience the beach for the first time”. Corner Cottage – perfect holiday cottage for humans and K9’s! Comfortable, spotless & thoughtfully appointed. Delicious welcome pack on arrival and everyday, new blossoms in the pretty garden. Couldn’t have wished for a lovelier time – right down to the beaches and Star Pub thank you all! Or – From the A149 Stalham by pass (heading towards Norwich) take the turning right signposted to Bacton/Happisburgh/Walcot (Stepping Stone Lane) At the T junction turn left. Once on this road (B1159) take the FOURTH road turning on the right, Happsiburgh Road (approx 2 miles) and keep going to the T junction. Turn right here and continue to the next T junction. Turn right again and follow the road until you reach the first road on the left which is School Common Road and the cottage is on the corner. Turn left up School Common Road to access the parking. We all have had an amazing time. Such a gorgeous house with lovely walks. We feel truly spoilt and believe the 4 dogs: Barney, Yogi, Sid and Bert do too! Thank you so much! Our second visit to Corner Cottage - unfortunately only for a short break! Would love to stay longer. We have had a wonderful weekend, the weather on Saturday was glorious. We experienced the delights of Winterton Beach - what a lovely beach! Thank you for welcome presents for us and the dogs! We will certainly return. Angela and Graham with Lisa and Logan. Our third visit to Corner Cottage and as ever we have had the perfect week. The house was clean and comfy and thanks for all the welcome presents. Food and real ale at The Star is another reason we come here. Horsey Gap had lots of seals, as did Waxham Beach. Many thanks. Janet, Mick and Sharon with Amber and Teddie and Maria with Oreo. Our 2nd stay at one of the East Ruston Cottages and yet again we weren't disappointed! What an idyllic setting - so relaxing! Loved the local walks and trip to the beaches. The Star Inn just down the road is extremely dog friendly and a great find. We also visited the Ship Inn at Mundesley which is great and fantastic location. Took the train from Sheringham to Hold which was Lewis' first train journey - again, lots of dog friendly places. Wonderful weather - enjoyed some breakfasts on the patio. Great cottage, thank you for the welcome pack - enjoyed by all! Another lovely week in Corner Cottage. Found lots of new walks through the fields as well as the traditional daily stroll along to Sea Palling. Eaten some great food whilst we've been here and I am sure we are leaving a few pounds heavier. Even the dogs had their own doggie dinners at Poppylands in Horsey! Can't wait to be back again in November. Another fantastic home from home thanks to East Ruston Cottages! Last year we did The Old Piggery - this place is just as good! The dogs absolutely loved the garden, the toys - just everything was perfect (even the weather) Thank you to Claudia, Graham, Sue and Becky - you make a great team. We'll be back! We both loved this cottage and will be back. Felt like home as soon as we came in (and wished it was!!) We've enjoyed all our walks, on the beach and in the countryside. Can't think of anything that isn't here that is needed. We had the most wonderful holiday and so too have the dogs. Arrived on a cold evening to a wonderfully warm Corner Cottage - thank you so much. Having said that, great to use log burner! Cottage was very clean and we had everything we needed. Level of fixtures and fittings and furniture was great. We love the local area and our dog walking. All in all, Sue at East Ruston Cottages has delivered! Thank you, thank you, thank you. We will return. Our second stay at Corner Cottage. We had a wonderful week, yet again. You have everything we needed. Had fantastic beach walks which the boys loved. Felt so relaxed. Cooked every day and found all we wanted. Even made bread and pizza which cooked brilliantly. Thank you again for allowing us to stay here! We have been lucky enough to have 3 glorious days of sunshine and taken some amazing walks along the beach with Morris. The cottage is wonderfully located with very VERY comfortable beds. Much needed after all the fresh air. This is one of the best equipped cottage we have been to. Thank you! The Star at Lessingham had 3 visits from us. Sunday lunch very much recommended. Thanks to all. Helen, Steve, Lucy, Oli (Jnr), Linda and Oli (Snr) and Morris! Fabulous week at Corner Cottage. Lots of space for 7 humans and 2 big dogs! We walked to Cart Gap as it's so close. Cottage is very closy and well-equipped. We have had a lovely time despite some very interesting weather – even managed to squeeze a BBQ in! Hurricane Aileen didn’t stop us! We were able to test the true dog friendly reputation of a number of pubs by taking soggy dogs in for refreshment. The Star and Hill House Inn came out on top – very welcoming and also had a gravy bone each for the dogs. We walked from Cart Gap to Happisburgh on the beach and also via Doggets Lane when the tide was in. if you want to walk an alternative route to Happisburgh you can walk via the fields and you just cut up before turning to Cart Gap which avoids the roads! What a lovely holiday cottage, really a home from home! As usual our favourite beach is Winterton, can't beat it and the dogs love it. Can recommend the crab from the little fish shop in Happisburgh (Fair Maid - fantastic fresh and smoked fish - highly recommended!) Lovely and fresh. Thank you for all the goodies too! Oooh and the beds are so comfy! Thank you so much! We have had a marvellous stay in your lovely cottage. It really felt like a home from home - great location for exploring the area. Fabulous walks for the dogs straight from the door - great pub (The Star) within walking distance. Very peaceful - the dogs loved being able to lie in the garden. The welcome pack with delicious cake and dog biscuits was very much appreciated. Thank you. A fantastic holiday cottage - we have all enjoyed ourselves. Secure garden great for the dogs, lovely to be so close to fantastic beaches. We have had a very relaxing time in Corner Cottage. Loved the location and Norfolk's big skies. Thank you very much for the lovely treats which went down very well. Good walk from the door - down to the Star Pub. Follow the road and public footpath on the right, just opposite the houses. Good off lead walk once on the field paths. This is the third East Ruston Cottages property we have tried as I don't think anyone else matches their 'dog friendly' ethos. Thank you Sue for continuing to find truly dog friendly cottages. We will be back in October and staying in Orchard Cottage. Wow! What a really great week. The humans and dogs loved it. The Star Inn for Sunday lunch and Friday Fish and Chips was amazing but do book. It gets a bit busy despite the outside appearance. The walk from Cart Gap to Sea Palling was enjoyed by us all twice. Takes 4 hours there and back with a donut and coffee stop. We also enjoyed seeing the seals at Horsey and although a bit of a car ride Holkham was a good day out too. The cottage itself is cosy and like home from home and the welcome treats were enjoyed by us all. Dogs especially enjoyed watching the birds feeding at the front of the cottage. Will be looking to book again with East Ruston Cottages in the near future. What a wonderful week we have had (our second time at Corner Cottage) The cottage was decorated for our arrival - beautiful - helped us to feel very festive. The boys (children!) loved that the cottage was decorated. Thank you so much to the owners for the Xmas goodies in addition to the the usual goodies Sue leaves - we felt very spoilt. We used the woodburner this time - lovely. Sugar and Spice cafe in Bacton shut this week - boo! We visit every time we come and love it. Fresh, homemade food and cakes. Dog friendly (dogs allowed in the cafe) Smallsticks Cafe at Cart Gap was open - another lovely cafe. We walked on Winterton beach and saw the seals. We visited Horsey beach to see the seals too. A treat to see them in their natural habitat. We always visit Happisburgh playground and have fun (with our 12 year old and 6 year old) Dunes Cafe at Winterton excellent too (we like a cafe!) The cottage was fantastic, as usual views from every window. Love that the owners leave bird food out so we can fill the feeders (in basket in front door porch area). Lots of birds visited this week. Dogs had a fab time too. My mum joined us this week and has thoroughly enjoyed herself. We'll be back (about to book for next year!) Thanks again. We have stayed in this area many time and used East Ruston Cottages before. This is the first time in this cottage and we cannot fault it. It is well situated for the beaches which our Springer Bobby loved. We loved the goodies we found on our arrival of local produce, a very nice touch. One of our favourite pubs, The Star, is only minutes away so another good reason we love this area. Many thanks and looking forward to coming back. Jenny and Patrick booked this lovely cottage as a surprise for my special birthday - they couldnt have chosen better. Ideal for all the family, including Mollie and Max the golden retrievers. Everything was perfect, thanks! We love the sea, such beautiful beaches and a very enjoyable night out at The Star. Good job we managed to finish our 'Cluedo'. jigsaw in time and 'whodunnit' or we would still be here. Thank you. This is a fabulous dog friendly cottage, warm, cosy and comfortable. We have had cold, wet and blustery weather, but we have enjoyed lovely walks and meals out. Our dogs have had a lovely time. Two of them are young and this was their first holiday. We will definitely use East Ruston Cottages again and will recommend you to friends. What a wonderful cottage, everything has been thought of. Lots of space for everyone including all the dogs. Just a pity it wasn't cold enough to light the woodburner. Very welcoming - will come again. Thanks to all. I just wanted to say thank you for a wonderful stay at Corner Cottage. We thoroughly enjoyed our time there and are all in awe of the cottage. The kids loved the games that were there, the dogs loved the space they had to roam around and we (the adults) loved the huge kitchen and the spacious living room. It really was a home from home and we felt so comfortable. We made good use of the local beach and even enjoyed a BBQ one evening. As a family, we have already discussed booking up another little break next year and I have already recommended East Ruston Cottages to a lot of our friends/family. Many thanks again for everything. Thank you for a truly wonderful stay. The cottage is one of our favourite things in Norfolk. Absolutely fabulous! We couldn't have wished for anything better, lovely cottage, beautiful sandy beaches, long, long walks!.....Thank you for a fantastic week, wish we could have stayed longer! Thank you so much, we have had a fantastic stay! The furnishings and the cottage are all of a high standard and we felt very well looked after. We would have loved to stay longer. I am sure we will be back. Our dog Cleo loved it too. We had fab weather. The furniture feels so lovely and high quality. Thank you for the gorgeous welcome pack... Cake, milk, eggs and dog treats. The cake was delicious. The bag of carrier bags was a nice touch. We were all pleased to have hand wash and loo roll supplied. The beds were so comfy. Sue was so helpful - thank you. Fab weather too! Hope the future guests have as much fun as we did. I am sure they will. Poachers Pocket pub recommended. Thank you very much for a wonderful and relaxing holiday in your beautiful cottage. Furnishings and decor are stunning and there is everything you need and more! The garden is absolutely delightful with so many pretty flowers and shrubs - a true cottage garden, and it was a real treat to sit outside for breakfast every morning and enjoy the fantastic weather we were so fortunate to have. The welcome pack was a lovely delicious surprise and BAiley says a big thank you (woof) for his lovely biscuits. We have loved visiting all the lovely beaches with Bailey, our golden retriever. 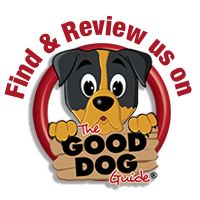 We have had some great meals in the dog friendly pubs you have recommended and would especially recommend The Star, just a 10 minute stroll down the lane but you must book in advance as they only have one chef. But delicious food and super friendly staff. All the information on your website has been so helpful and we will be recommending you to all of our friends who want to holiday in Norfolk. We very much hope to return in the future. Thank you so much for allowing us to share your lovely cottage. A real home from home. Everything we could possibly want/need was here. A truly charming place. The welcome pack was a lovely touch and very much enjoyed by all. We would definitely recommend Corner Cottage to others and would very much like to return if we may. First holiday cottage we haven't managed to escape from. Great dog biscuits thank you. This is a lovely cottage. We have stayed in many cottages in this area over the years and this is certainly the best. The attention to detail is wonderful and we will certainly return. Thank you for the goodies on arrival. Cake and jam were both delightful. What a fabulous cottage, the best we have ever stayed in! The biscuits etc left for us were delicious. Thank you for those. We will highly recommend this cottage, everything we could possibly want was here. The beds are so comfy and the quality of everything is wonderful. The dogs enjoyed the garden as much as we enjoyed the holiday. Thank you again for everything!!! We will be back. We had such a great week in such a lovely cottage. Shame the weather was so bad, but we made use of the fire one night and was very cosy. The Star was a great place to eat, and very welcoming. The dogs had a fab time on the beaches and our Hugo enjoyed his first holiday. Thanks. Thank you for the goodies you left us! Cake and fudge was great. What an amazing cottage! We had a very restful and relaxing time - You couldn't not as it was so quiet and the views are stunning!! Arnie enjoyed his dog biscuits - he sends you a big slobber as a thank you. We enjoyed the birds tapping on the windows. This cottage is very homely and cosy and we will return. Thank you so much for allowing us to be your first guests in Corner Cottage. My first impression was "WOW!". The cottage is amazing, you have thought of everything (even supplied fantastic weather!). The decoration is lovely, beds so comfortable. It was so nice to be able to bring the dogs so they could have a holiday with us and experience the beach for the first time.